“This book destroyed me and I adored it.”- Stephanie Garber, New York Times bestselling author of CaravalThis edition uses deckle edges; the uneven paper edge is intentional. Okay lets get this part out of the way first… the first half of The Wicked Saints left me wanting to rage, scream and throw it across the room every time Nadya said the word heretic. Yes. I read an ARC so maybe this is better in the final copy [fingers crossed]. Besides the sheer annoyance of repetition, I found that it really drilled home how big of a HYPOCRITE Nadya was for most the story. She was a walking contradiction… one minute she is wanting to escape all the violence and the next she’s all MUST.KILL.THEM.ALL. She calls her enemies brutal, evil monsters but her people did some pretty effed up stuff that I wont spoil. It was maddening. Then in Chapter 21 I started really getting into the story [I know this for sure because there is a note that says “WTF. LOVE.IT.”] Personally, it was a bit of a relief to move a little way from the religious aspects of the story and into the court politics. It is funny how opinions can shift when you start seeing people instead of bloody heretics, right Nadya?!? She did eventually grow on me which lead to becoming very suspicious of these capricious gods of hers. Serefin and Malachiasz were definitely the best part of the story for me. 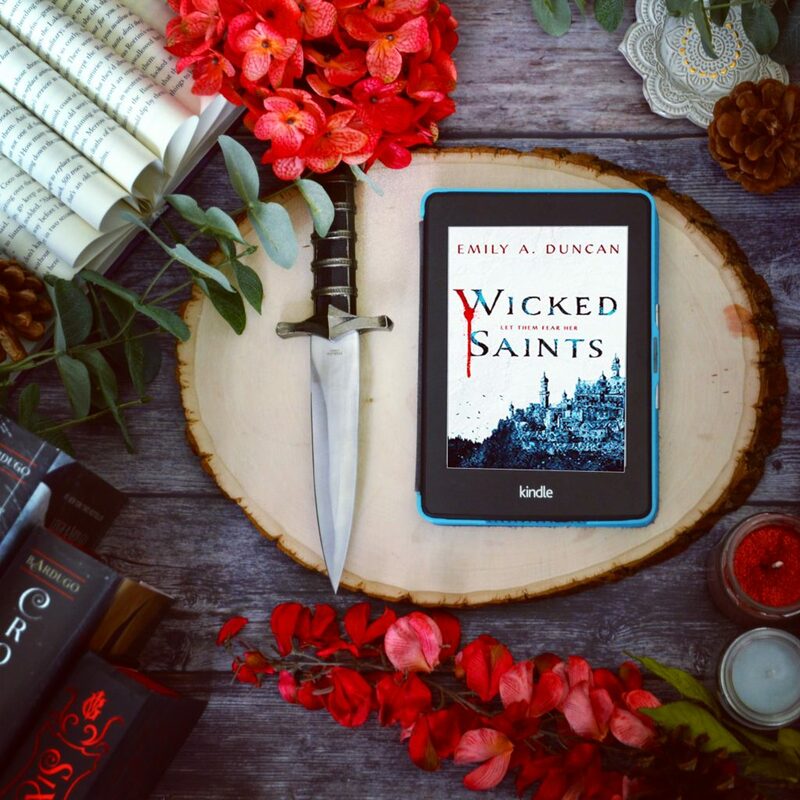 The world of The Wicked Saints was dark, gritty and absolutely brutal. One of my favorite parts was the magic which I am curious to learn more about as the story progresses. 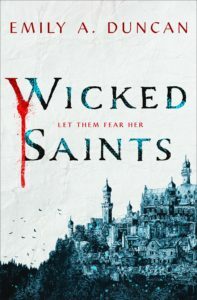 All in all, I ended up really enjoying The Wicked Saints. 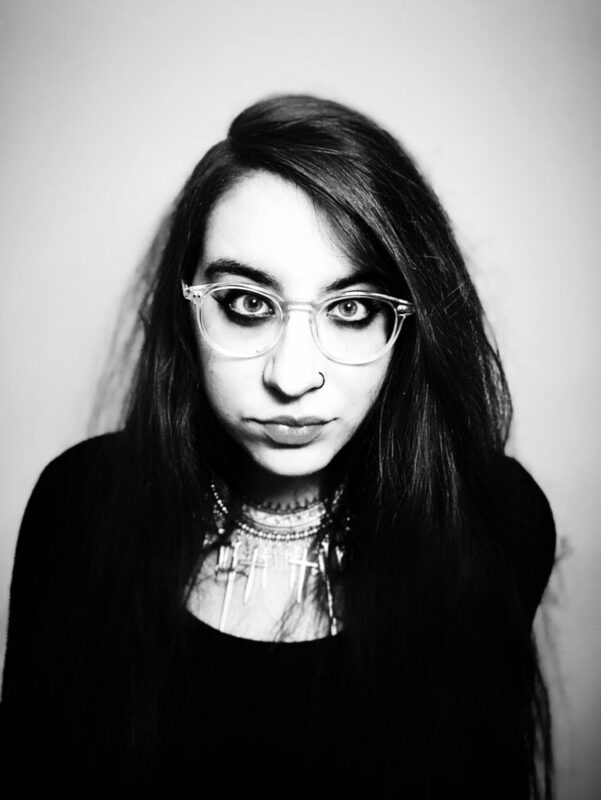 Emily Duncan is not afraid to torture her characters (something I both love and fear about some of my favorite authors… looking at you Sabaa). 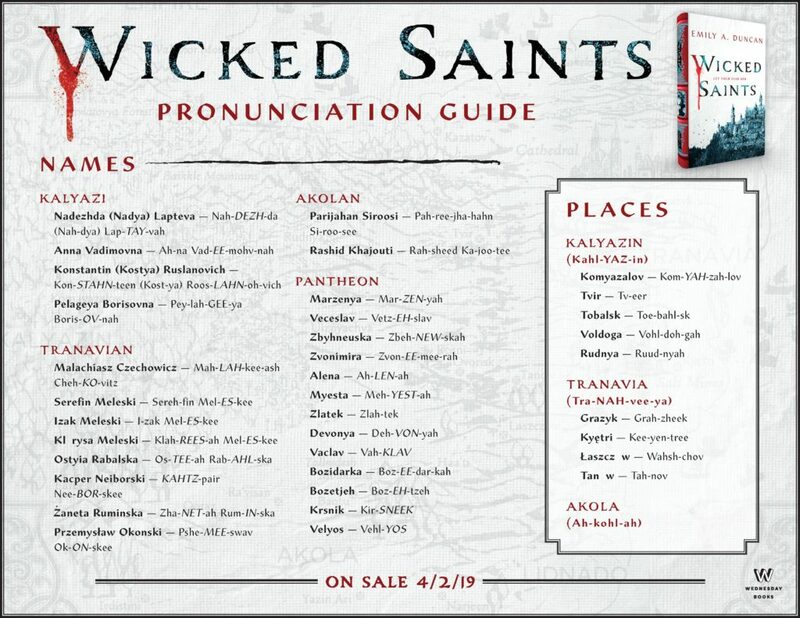 There will be lots of comparisons to the Grishaverse but I found The Wicked Saints to have a bit more of the grit I wanted but never really found in the Grisha Trilogy. Once the story got it’s beautiful monstrous claws into me, I stayed entrenched in all my feels. I never could never really put my finger on some of the characters intentions which kept me intrigued. Overall I was captivated by this deliciously dark world and cannot wait to see what happens next. Help! What is that name?